With moots covering European, environmental and public law, the competition will take place over three rounds. 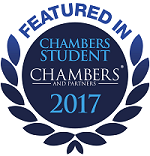 The first round sees entrants judged on their skeleton arguments, with the top-scoring teams appearing at the semi-final in London before distinguished Court of Appeal and High Court judges in a full mock court in February. Last year’s Grand Final was held in historic Courtroom 1 at the Old Bailey, and was judged by Justice of the Supreme Court, Lord Kerr of Tonaghmore and two Old Bailey Circuit judges. Comparable arrangements for this year’s final are to be confirmed closer to the time. Prizes will be awarded to both the runners up and overall winners. The final will take place on 3rd July 2019 at the Old Bailey and will be presided over by Lord Kerr of Tonaghmore. 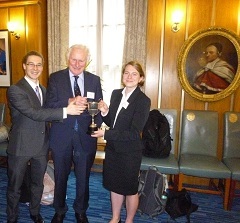 Read Chambers Student guide to mooting which focuses on the Kingsland Cup as an example moot.